People will consider this is just an ordinary Gel Cream. But in fact, there is a professional spy camera inside this beautiful Gel Cream bottle. The spy pinhole camera is set in the bottle internally. From the surface of the bottle, you can’t discover the pinhole camera easily. The resolution of the camera reaches 1280*720, so you don’t need to worry that the quality of the video which the camera shoots is not good enough. With the support of a high capacity battery and a 32GB memory card, the camera can work continuously about 20 hours. For its good disguise, this Shaving Cream Hidden HD Spy Camera is really a good helper of CIA agents, police, detector, and spy agency. 4.Recording mode :continuous recording/motion activated recording until memory is full or the power of the battery is used up. 8.Videos can be played back on many suitable devices, especial good on the computer. 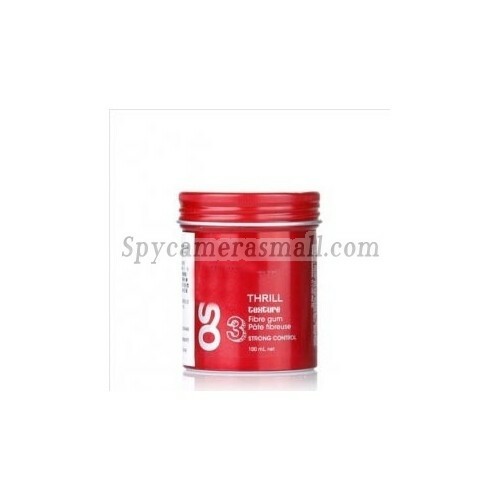 In order to better protect the buyer's benefit, before buying a professional bathroom spy pinhole camera, please read the introduction of the product and have a look at the video demonstration sample provided by spycamerasmall.com.Please contact us for more information about this product.